It’s that time again: Another year has passed, sapping us all of precious vitality and slowly pulverizing our faculties until we’re unidentifiable powder in the wind. 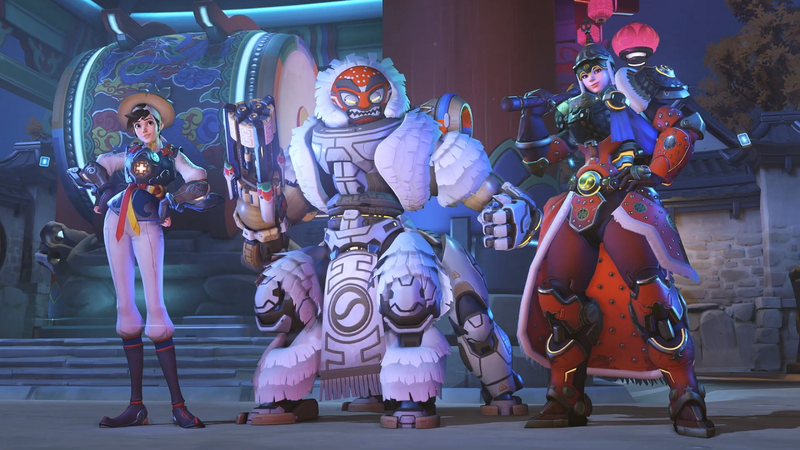 But in return, we get new Overwatch skins as part of the game’s annual Lunar New Year event. Really, it’s a pretty even trade. Overwatch’s “Year of the Pig” event just kicked off with its usual Chinese and Korean theme in tow. While previous years’ skins were snazzy, this year’s batch is based on specific historical and mythological figures. Reaper’s skin, for instance, is inspired by renowned Han dynasty general Lü Bü, who you might have heard of thanks to 14th century historical novel Romance of the Three Kingdoms—or the Dynasty Warriors games. Tracer’s skin, meanwhile, is based on Hong Gildong, a Robin-Hood-esque figure who may or may not have actually existed, but who was definitely the main character in a famous Korean novel. Oh...And About Simmons&apos; Podcast: "He Told Me He Quit It"